Still trying to get caught up on listening to records. This one has been sitting on the to do list for a few weeks, so time to get to it. 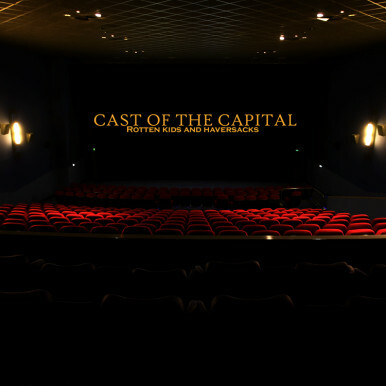 Cast of the Capital are a four piece, formed in Aberdeen by brothers Steve and Matthew Morris, joined by Alastair Naylor and Jamie Watt. Since forming in 2006 they’ve done some intensive gigging, supporting the likes of Xcerts and Trapped In Kansas, playing Rock Ness and Belladrum and catching the ear of Steve Lamacq, Vic Galloway and Jim Gellatly. The Rotten Kids and Haversacks EP is the band’s first full release. 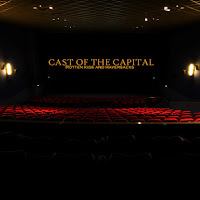 It came out on CD in September and will be available through iTunes in November. The first song, Comiston Springs, is pretty enough, poppy and jangly, with a bit of a Teenage Fanclub feel to it. Catchy, decent stuff so far then. For me the EP really comes to life with the second track, The Witching Hour, slowing things down and stripping it back a bit. This song actually reminds me a good bit of Mitchell Museum, but without making me think I’m listening to a different band than the rest of the songs. From there we get Passing The Horse, again a jangly sparkly wee thing, which is just fine, once again catchy and danceable before slowing things down again for Crematory Blues. Like The Witching Hour, its the slower more acoustic sounding Crematory Blues that really catches my ear, before we switch back to something more cheery sounding in Tree Sleep to finish off. A wee bit of a mixed bag then you might think, but it’s a good mix. I preferred the quieter, slower songs to the indie-pop ones, but they do their job just fine and the quality never dips below “good”. Were it not near the end of October I’d probably enjoyed the poppy songs more, they’ve got a nice summery feel to them, but since it’s dark and freezing my brain isn’t quite appreciating them as much as it would when the sun comes out. The EP as a whole is certainly well worth a listen. I really like these guys. We played with them a while ago in Edinburgh and they were a great live band, as well as being thoroughly nice chaps. I think they gave me this EP for free, but I’ll buy it anyway. It’s quite an American indie sounding record I think. Haven’t listened to them for a while; I’ll stick them on the old iPod tonight. they have a new single coming out soon!! keep checking their myspace!!! New single and a new name too boot! I’ll have a wee bit about the new stuff when I get a copy myself.